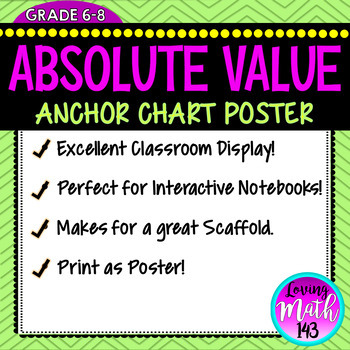 This anchor chart poster is a great tool to display in your classroom and/or hand out to your students to put in their interactive notebooks and/or binder. 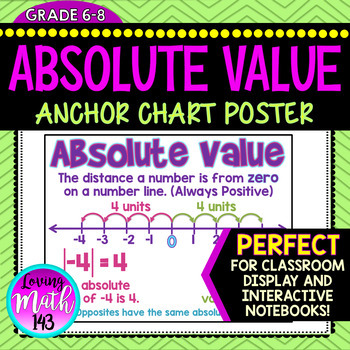 This anchor chart defines absolute value as a numbers distance from zero. It shows that opposites have the same absolute value.